Mutt Mosey Registration is Open! DO YOU WANT TO BE A SUPERHERO TO SENIOR PETS IN NEED? Check-in and registration begins at 10am. One mile walk begins around 11am. Activities end at 1pm. Online Registration Ends on May 15th. WALK UP REGISTRATION IS AVAILABLE THE DAY OF THE EVENT FOR $40 PER PERSON. REGISTRATION IS AT 10AM.T-SHIRTS ARE ONLY GUARANTEED TO ONLINE REGISTRANTS. T-SHIRTS ARE AVAILABLE FOR WALK-UP REGISTRANTS WHILE SUPPLIES LAST AND CANNOT BE GUARANTEED UNLESS REGISTRATION IS DONE ONLINE. Do you want to be a superhero for senior pets? You already are! That's because you are going to join this year's Mutt Mosey fundraiser walk that helps Young at Heart give senior pets in need a second chance! This heroic one-mile Mosey around the Fox River Preserve and Marina raises the much needed funds to save the lives of senior dogs and cats in area shelters. Last year, $45,000 was raised at the Mutt Mosey. Why do we raise funds to save senior pets? 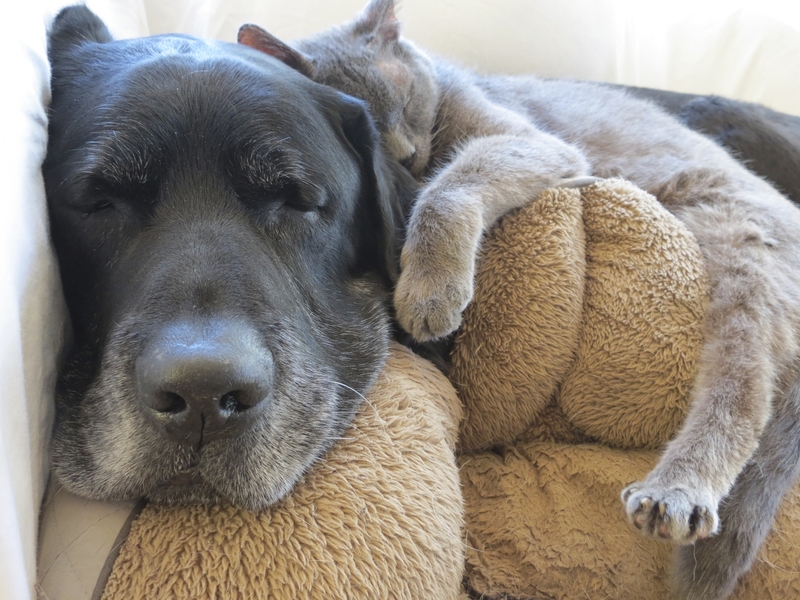 Because in a perfect world, every senior pet would spend its twilight years surrounded by a loving family. But sadly, senior pets that end up in shelters often do not get that chance. Young At Heart™ is a rescue and safe haven for senior dogs & cats in Northern Illinois. Our mission is to save the lives of homeless senior dogs and cats from shelters where their age puts them first in line to be euthanized. We find loving homes for adoptable senior pets and offer a peaceful permanent sanctuary life for those that are less adoptable. With your support, Young at Heart™ gives older dogs and cats another chance to enjoy the twilight of their lives through rescue, foster, adoption and sanctuary. Your support of this year's Mutt Mosey not only helps us give homeless senior pets a second chance, but will help us care for up to FOUR TIMES MORE senior pets at our new adoption center opening in late 2017 in Woodstock, IL. Register for the Mutt Mosey and you get an official Superhero for Senior Pets 2017 Mutt Mosey Shirt! NEW THIS YEAR: Join us virtually! If you can't join us for the event in person, but still want to join in the fun virtually, register for the walk online and we'll mail you your shirt! Post photos of you joining us from wherever you are on social media to join in the fun! We'll feature the photos on our Facebook page! The TOP fundraiser present at the walk (and their dog, if applicable) will be crowned "Superhero for the Day!" and will receive special walk privileges and prizes.The festivities will be all things superhero, with great photo opportunities and games, so don your capes and masks (and your dog's, too!) because you KNOW there is a best dressed prize! This is a dog-friendly event! All dogs must be on a fixed leash (no flexi-leashes please! ), be up to date on vaccines, spay/neutered, and comfortable in situations with many dogs and people. Please clean up after your dog - poop bags will be available at check in. Refreshment and baked goods courtesy of our volunteers' scrumptious bake sale will be available for purchase to help support our senior pets, and the day includes music, swag from sponsors, demos, games and more! So dust off your superhero cape, register to walk, and start fundraising to save senior pets!